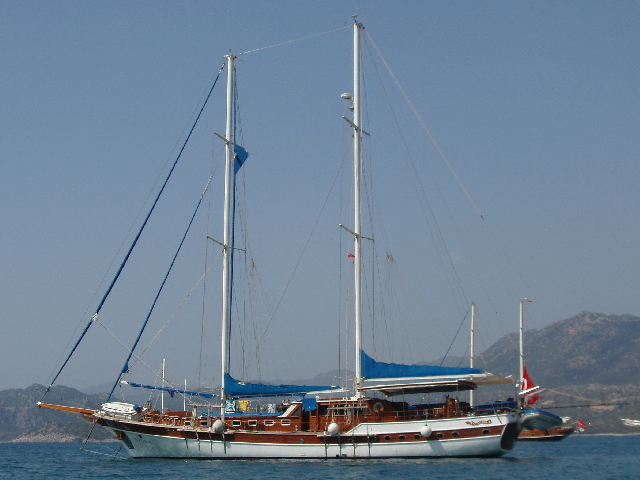 This is our yacht anchored in the harbour at Demre. We went by minibus from this port to Myra. In Demre itself we visited the church of St. Nicholas, who was born in Patara around 260 AD, became bishop of Myra, and was buried in the church at Demre. He became patron saint of Greece and Russia, and Santa Claus.